Luxury dog collars are the very items if you wish to find something special for your beloved pet. Provide your dog with the best dog items he deserves. Luxury dog collars combine high quality, luxury style and functionality. Luxury handmade leather dog collars for large dogs will give your Mastiff exclusive look and utmost comfort during different activities. These luxury dog collars are handmade of premium quality leather material, that's why the collar is durable and pleasant to touch. 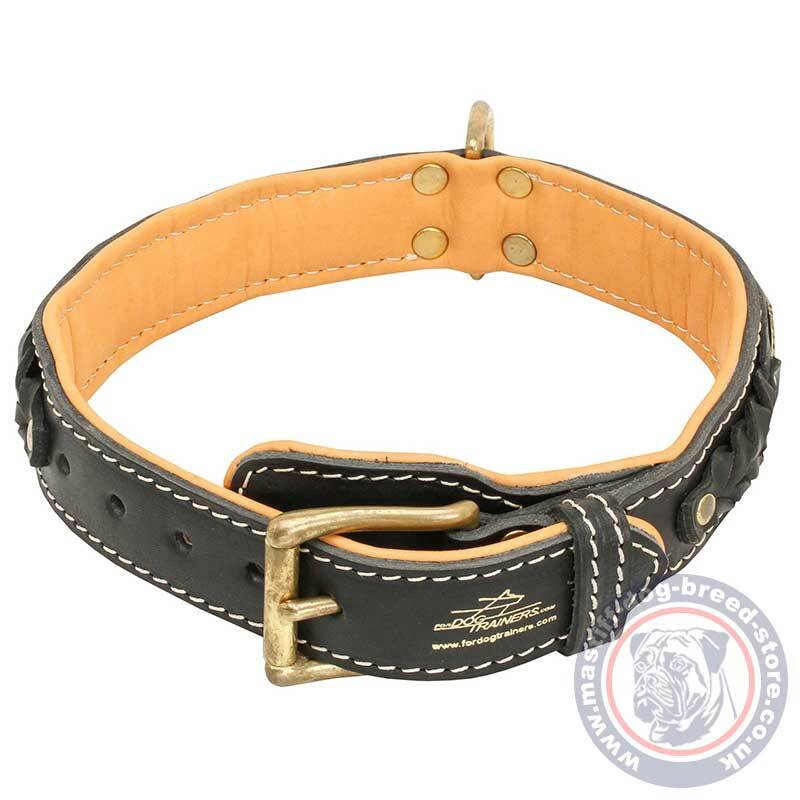 Due to its width and polished edges, this item won't cut into the dog's neck and bring him only comfortable feelings. These luxury dog collars are strong enough for such massive dogs as Mastiff. All the fittings are securely riveted for the best durability. The metal parts are fully rustproof and corrosion resistant. 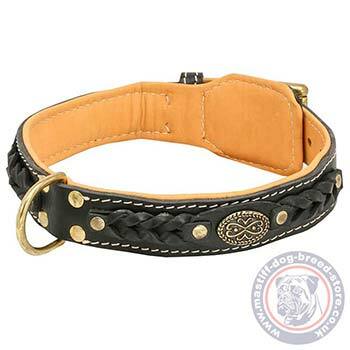 So, these luxury dog collars are really durable and you can fully rely upon it. The distinctive feature of these luxury dog collars for large dogs is their design. Soft lining, quality leather, braids, medals and strong buckle and ring create super luxury dog accessory for the most exacting customers! This braided collar and a braided leash for big dog have arrived today. They are just super wonderful! They have a cool leather quality and I could not even wish of a better craftsmanship!!! Thank you again!! !